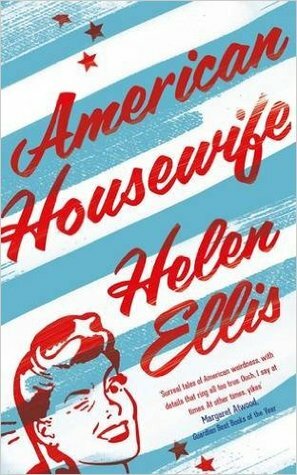 Helen Ellis is an American novelist. She is the author of two published novels, as well as several works of short fiction. Her first novel, Eating the Cheshire Cat, is a dark comedy written in Southern Gothic fiction style. It tells the story of three girls raised in the South, and the odd, sometimes macabre tribulations they endure. Her second novel, The Turning: What Curiosity Kills, is a “teen vampire” story about a 16-year-old girl from the South who is adopted into a wealthy New York City family. The book’s plot include shape-shifting, teen romance, and the supernatural. ~Not My Usual Thing: Normally, I’m not a big fan of of short stories, but I loved this and I very much enjoyed reading these book. I actually heard about this author through Radio National program Books and Art (Top Shelf with Helen Ellis) and the reason I was perusing this radio program was for a University assignment, however I’m glad I looked into it. ~Pick of The Lot: Though I want to point out I enjoyed all the stories, even the one about the haunted apartment (which I had reservations on at first), however if I had to pic one, my favourite short story is the first that appears in the novel “What I Do All Day”, which is hilarious (particularly the moments such as “I’m glad you like it” is Southern Lady code for “I hate it.”) I could never master that level of politeness judo, but also a really great insight into the gems of domestic life. However a surprising close second was “The Fitter”, a part of think I shouldn’t enjoy the petty drama as much as I do (we have our vices), but it was more the desperation of both women, how you got to see both sides of what I had initially thought was a one sided issue (Helen Ellis does sympathy for the devil very well), especially since one of the characters has cancer (which took me a while to figure out I’m afraid). ~Short and Sweet: A few of these short stories have been published elsewhere, so it did feel like an anthology (which isn’t a problem). I really admire Helen Ellis for being able to write and publish so many short stories (a format that still eludes me), but the novel is rather short, which I suppose is good for some readers but I would have preferred a little more. Overall, a great small collection of short stories by a fascinating author, I highly recommend it.